Tenants would like to have a cordial relationship with their landlords in most cases. This is because most people like to live their life peacefully. However, its highly unlikely every tenant will be cordial and friendly and you will encounter tenants who simply don’t care about the landlord or the property as well. You may also encounter a tenant who doesn’t pay the rent and damages the property. The thing is identifying a problematic tenant is never easy. People are often very well-mannered in their first meeting and only show their true colors after a certain time period. You should expect tenants to give you the answers they think you want to hear in the tenant screening interview. 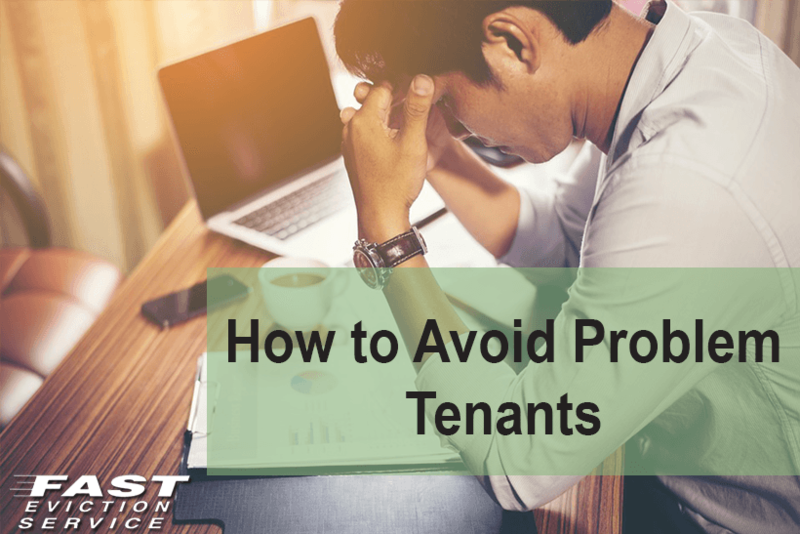 So, how can you avoid problematic bad tenants? Here are a few tips to help you out. The first and foremost thing you should do while interviewing a person as a potential tenant is to ask for references. Only a previous landlord can tell you what kind of tenant this person was. If the tenant was not good to the previous landlord there is no reason to believe the tenant will be a lesser problem for you. Believing on what a single landlord has to say may be a mistake though. Some landlords talk badly about their tenants out of spite rather than any problematic behavior on the part of the tenant. Therefore, it’s best to ask multiple landlords (where possible) and then make your decision on what the majority has to say. You must always make sure that the person is genuine and you can determine this by asking for the identity proof in the form of a passport or driving license. Having the person’s credentials is important as it can help in tracking them if they suddenly disappear. The credit history of your potential tenant must be checked in order to see if they pay their bills on time or not. This would be a good indicator of what they will do with rent as well. Any history of failure of bill payments should serve as a warning sign. It’s best to give the tenant the chance to explain the credit history before you make a decision though. Never compromise on a well written and signed tenancy agreement. It’s best to involve a legal firm in these matters to ensure that you keep yourself on the safe side to protect yourself from tenant lawsuits.